– Over 100 hours of video lectures covering each Learning Outcome Statement and solved example videos. 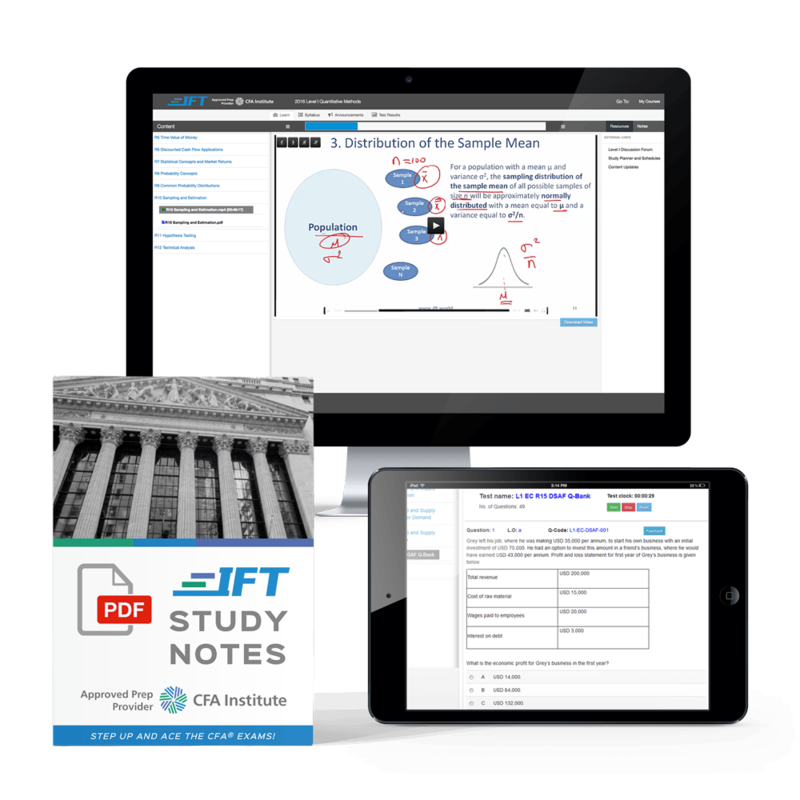 – Detailed Study Notes: Presented in 5 volumes in PDF format. – Question Bank: Over 3,000 questions online and in PDF format. – Topic Exams: Revise each topic by testing your knowledge.